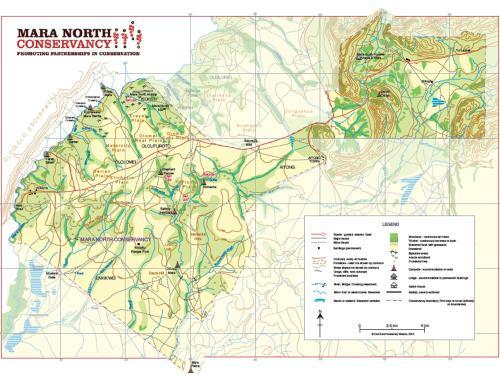 Mara North Conservancy is a beautiful private wilderness area of more than 30,000 hectares. 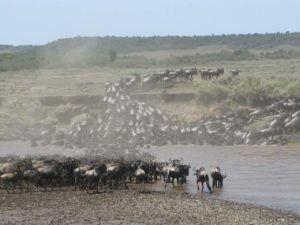 It is a vital part of the Masai Mara ecosystem (see www.maasaimaraconservancies.com) as it forms the north-western zone, bordering the Masai Mara National Reserve in the south of Kenya. Professional wildlife and tourism management ensures guests of a truly exclusive and private safari experience with a very low vehicle density. 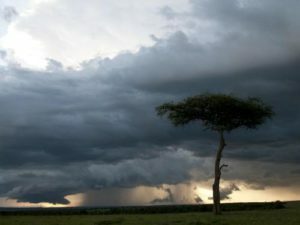 The Masai Mara is famous for its unique concentration of wildlife, birds, rich vegetation and open savannah. It has been classified among the “Seven Wonders of the World” due to the extraordinary annual migration (July – November) when over 1.3 million wildebeest and zebras cross from the Serengeti in search of greener pasturesLess famous, yet very impressive, is the Loita Hills migration, where thousands of local wildebeest come to the Mara North Conservancy (December to May). The conservancy is a partnership between conservationists, investors and over 800 Masai landowners. The aim is to create a best practice, world-class conservancy with long-term commitments to the environment, wildlife, and local communities. 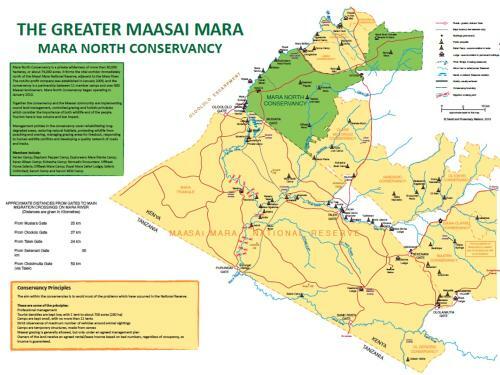 To form the conservancy Mara North leased land from individual Masai landowners. This marks the first time that these Masai landowners have received substantial and direct income from wildlife. Together, MNC and the Masai community are implementing sound land management policies including, controlled grazing, holistic management practices, low volume and low impact tourism, and community land-use plans. We strongly believe that tourism has the capacity to protect a natural wildlife habitat, alleviate poverty and contribute positively to the local community. 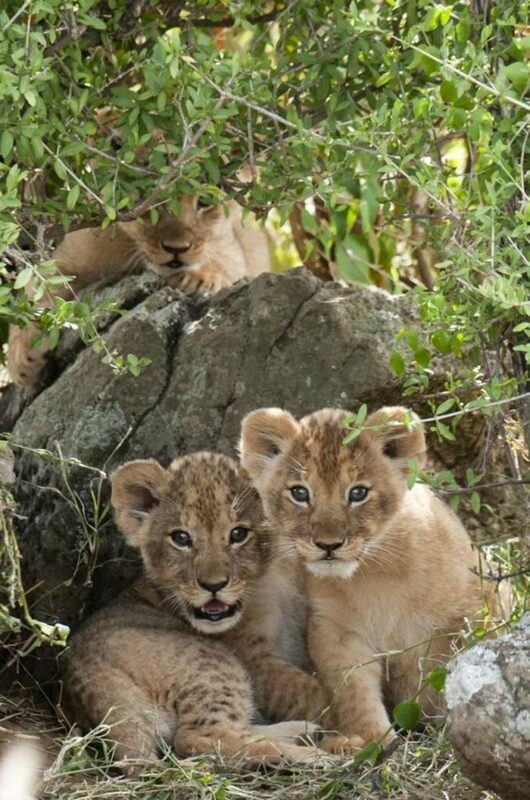 Mara North Conservancy is showing how wildlife, communities and tourism all stand to benefit from a new brand of conservation.Mara North Conservancy is leasing land from Masai landowners in the Masai Mara region for the purpose of establishing Kenya’s premier low-density wildlife conservation area. We have created a best practice conservancy with long term commitments to the environment, wildlife and local communities. Saruni is in the Masai Mara ecosystem, Kenya. Closest airstrip is Mara North Airstrip, abut a 40 min’ game drive from the lodge.